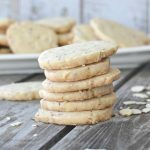 These eggless honey lime almond cookies are a great sweet treat for any special event or just a regular cookie to put in a lunch box. YUM! I know, I know…I haven’t posted in over two weeks because I’ve been so busy doing nothing! I’ve been really unmotivated and I’m sick of the cold weather! Luckily, the forecast has gotten me in a better mood and will be in the 70’s this weekend. 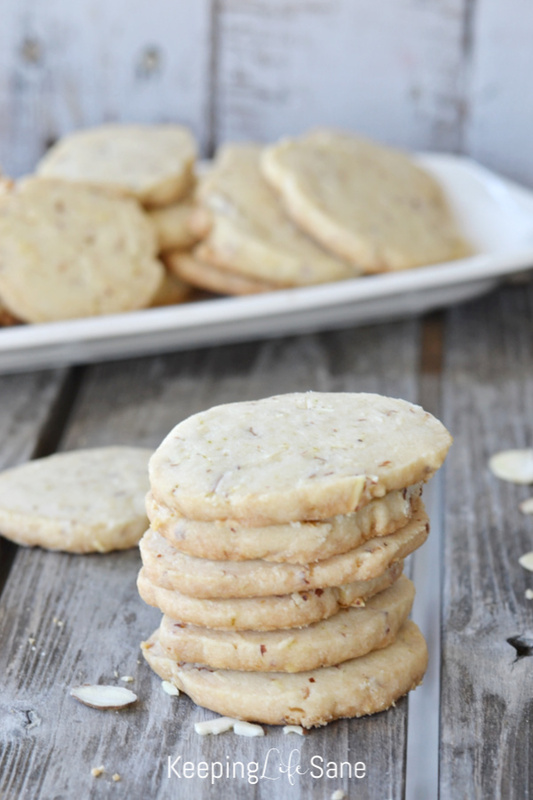 I love adding nuts to cookies. It’s so easy and add a great taste. 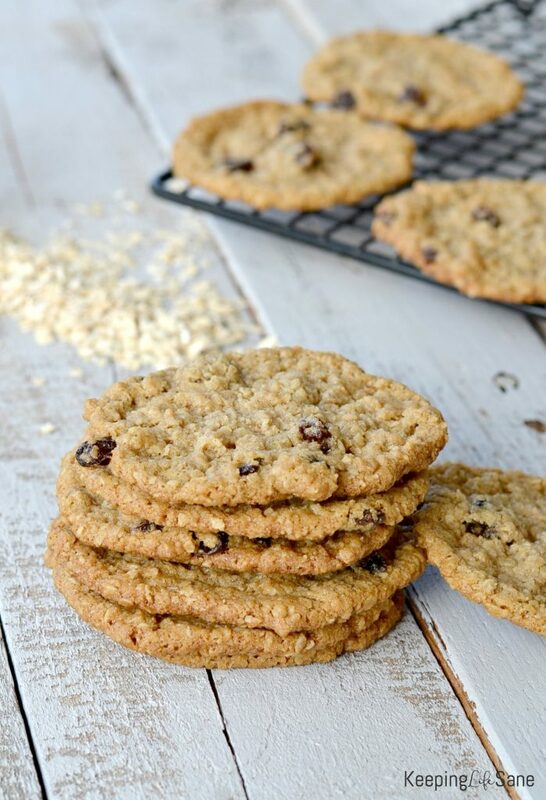 I add them to the best eggless chocolate chip cookies EVER too! I feel like it makes them a little bit healthier too. Almonds have fiber, protein and tons of vitamins and minerals. Add room temperature butter, lime juice, sugar and lime zest to a bowl. Mix using an electric mixer for 1-2 minutes. Slowly add in flour, salt and almonds until well combined. Lay dough out on plastic wrap and form a log. Wrap in plastic wrap and refrigerate. After 30 minutes, unwrap and slice off cookies and place on baking sheet. 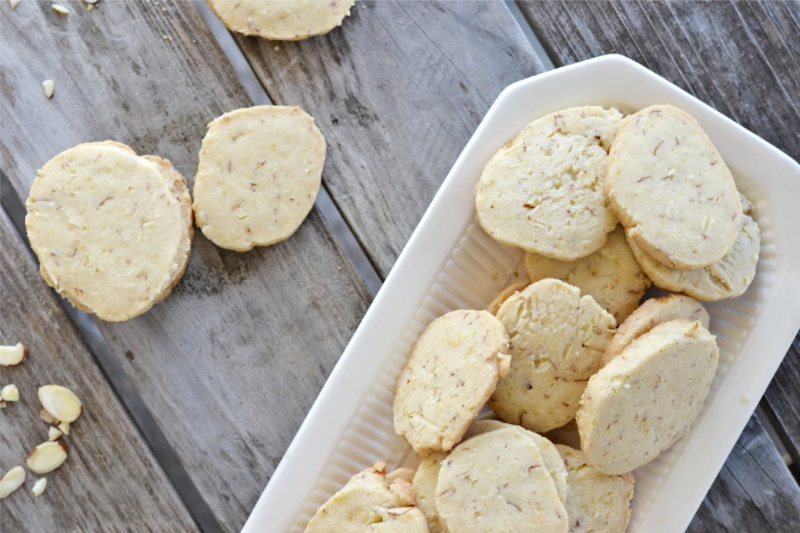 You may like these cookies too! Previous story Should I buy an air fryer? Yes, and here’s why.